With such a wonderful personalized gift, any parent would be so honored to share these Personalized Picture Frames with any guests that may visit. The will love to reflect on the cherished memories from your special day. 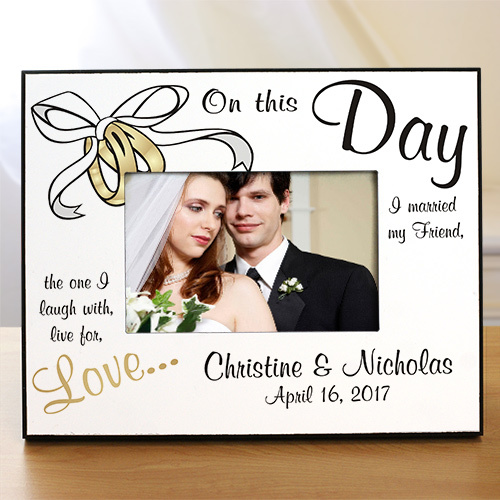 These Customized Picture Frames may be personalized with the wedding couples name and wedding date. I like the personal touch the gifts have with being able to put their names on the gifts. To me it means more to them if it has their name on it. Wonderful Wedding Gift! Great value for the price!